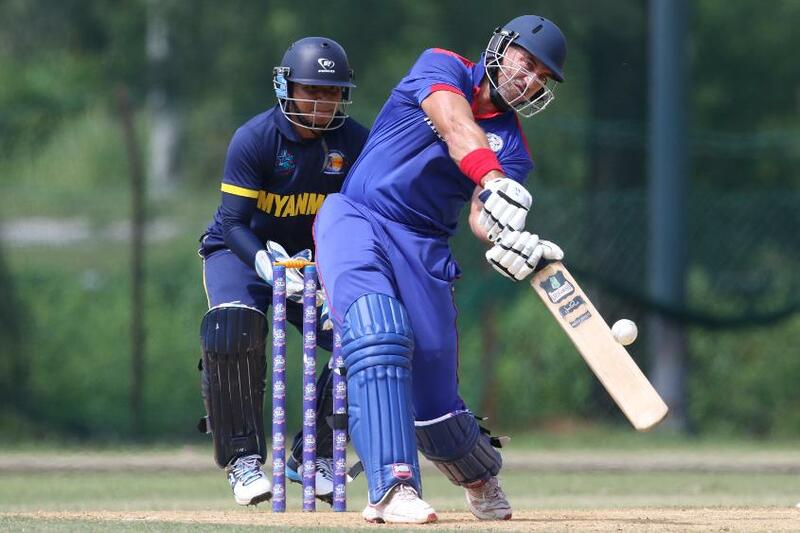 Nepal and Singapore set up a final day showdown for the ICC World Twenty20 Asia Qualifier 'B' trophy after comfortable victories in their penultimate matches in Malaysia on Wednesday. The two teams are top of the seven-team standings with 10 points each from five wins, and meet on Friday in Klang to decide the winners of the competition. Nepal cruised to a 10-wicket victory over China in a match which lasted less than 15 overs while Singapore overcame Bhutan by 95 runs in Bangi. Both teams have secured qualification to the next stage and will be joined by either Thailand or Malaysia at the Asia Finals. Thailand are currently third with seven points, two more than Malaysia who meet China on in Bangi Friday in their last fixture. The Thais are hoping to have done enough after beating Myanmar by 31 runs under the DLS method in Klang. Surendran Chandramohan's blistering 80 runs off 50 balls steered Singapore to a formidable 161/9 in 20 overs before Manpreet Singh took four wickets as Bhutan were dismissed for 66 in 17 overs. 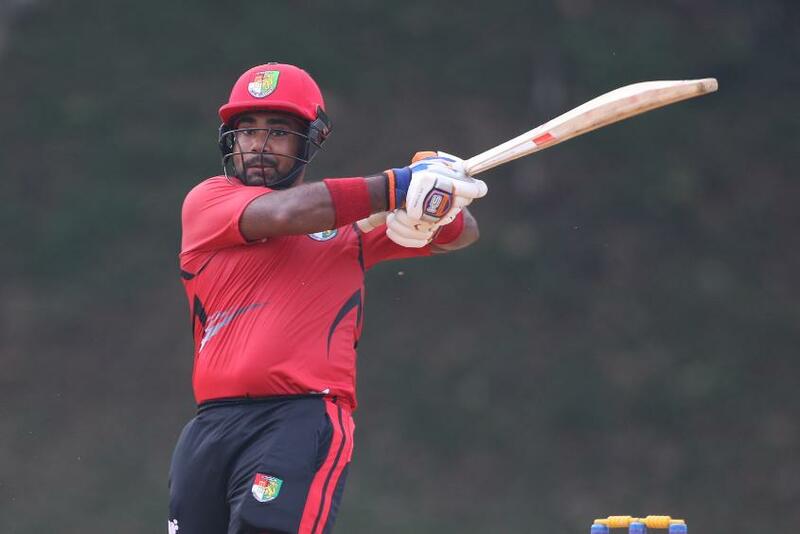 Singapore looked set for a big total as Player of the Match Surendran partnered Aritra Dutta (35) in an opening stand of 73 before combining with Chaminda Kumarage (16) to reach 135/1 in 14.4 overs at the UKM Oval. 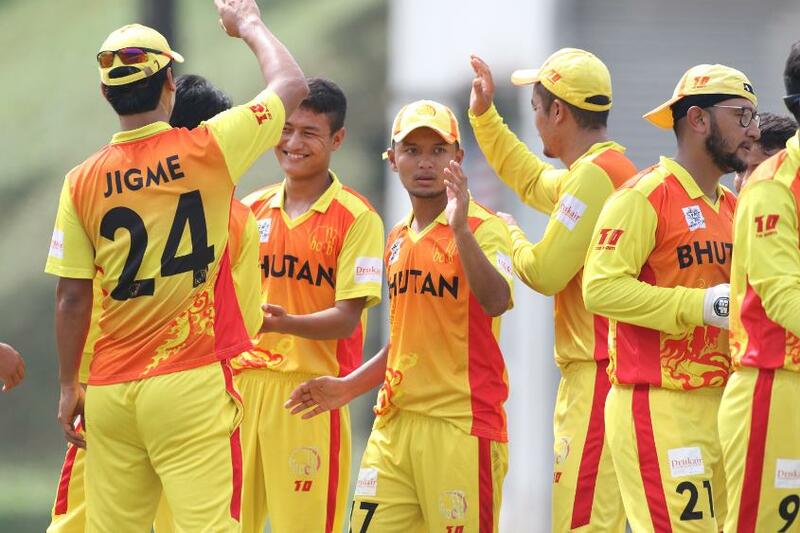 But when Kumarage was bowled by Ramesh Limbu, Singapore lost their remaining eight wickets for the addition of 24 runs as Tobden Singye ended with four wickets for 23. Such a collapse would normally be a major worry ahead of Friday's match against Nepal but Singapore captain Chetan Suryawanshi was not overly concerned. "The wicket condition was such that when the bastman goes in it becomes difficult and ball is softer towards the end," said Suryawanshi, who was out leg-before for three runs. "So clearing the ground becomes a big task. That is why we target the first six, seven overs as being very important." Manpreet ran through the Bhutan order to pick up four wickets for 15 runs as Thinley Jamtsho top scored for Bhutan with 18. With Singapore trailing Nepal on net run rate, only a victory over Nepal would suffice for Suryawanshi's team to lift the trophy at the Bayuemas Oval. "The idea was for the batsmen to get batting practice today and I'm sure everybody feels confident for the last game," said Suryawanshi. "It's a short game, T20 game, and we just need to hold over nerves and do the process right to get through." At the Bayuemas Oval, Sandeep Lamichhane, Lalit Rajbanshi and Basant Regmi each took three wickets as Nepal bowled China out for 26 runs. Lamichhane, who was named Player of the Match, raised his tally of wickets to a tournament-leading 20, nine ahead of Singapore's Manpreet. Binod Bhandari and Pradeep Airee then took just 11 balls to score 29 runs and secure Nepal's fifth win of the competition. Thailand will have to wait until Friday to discover their fate having completed their fixtures after Chanchai Pengkumta scored 50 runs off 41 balls to lead his team to 151/5 in 20 overs. 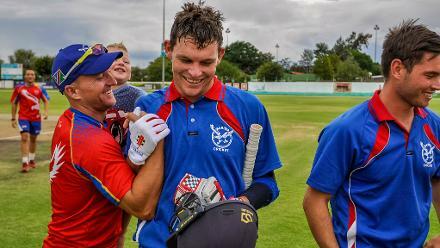 Daniel Jacobs dominated an opening stand of 52 with Wanchana Uisuk (16) in scoring 47. Myanmar reached 27/2 in 8.4 overs before play was halted due to the threat of lightning and eventually called off. Myanmar complete their fixture against Bhutan on Friday in Klang.